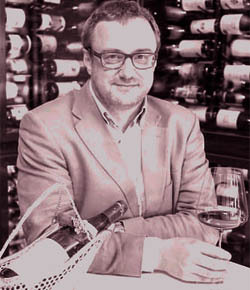 The most influential countries within the secondary market for fine wine have notable critics such as Harvey Steiman (USA), Jancis Robinson and Neal Martin (UK) and Lisa Perrotti-Brown (Australia & Asia). However, the man whose opinion is held in higher regard than any others around the World is Robert Parker Jr. The American former lawyer owns the most highly esteemed palate in the World. Parker made his name when tasting the 1982 Bordeaux vintage, a vintage that many critics, including critic Robert Finigan thought of as mediocre. Parker declared it would be exceptional if given a slightly more extended period for maturity. Finigan, at the time a much more established US critic than Parker, gave the 1982 vintage a fairly bad review in his newsletter, recommending his readers buy Bordeaux wines of the 1980 and 1981 vintages instead. Parker on the other hand gave 1982 the highest possible acclaim using superlatives such as “stunning,” “prodigious,” “heavyweight,” “incredible,” as well as claiming it to be one of the greatest Bordeaux vintages of the century. When his opinion was categorically acknowledged to be correct, the foundations of his reputation were laid. By the late 1980s Finigan’s influence as a wine critic was in decline while Parker’s was in the ascendency. Parker’s publication The Wine Advocate launched in August 1978, and by the mid 1980s had opened a new world to consumers. In the subsequent years that reputation has only been enhanced. During the mid-eighties Parker devised his grading system which awards points for each specific attribute of a wine such as flavour, finish, aroma, cleanliness and depth. This culminates in an overall score between 50 and 100 with the upper limit being classed as perfection. Whilst this may sound a little intricate for many who do not consider themselves connoisseurs, the effect on the market that stems from the opinion of Parker and his Wine Advocate team of experts is never put in to question. All of these wines show growth based on their original release price but only one vintage of each wine received 100 Parker points! Parker’s influence is such that when he tasted and loved a relatively unknown “ultimate Australian Blockbuster Shiraz”, produced by wine maker Chris Ringland (Three Rivers Shiraz) and awarded it a 100 point score the wholesale price for the wine was sent out at an increase of 923%. It sold out in two weeks. Parker has spent over a decade building the Wine Advocate tasting team and has recently started to reduce his tasting duties in preparation for his inevitable retirement. In 2015 Parker announced the handover of Bordeaux En Primeur tastings, one of the most important roles in wine critique, to UK based Wine Advocate critic Neal Martin. This was followed in April 2016 by the announcement that Parker would hand over Bordeaux tastings completely to Martin. This has opened the door for Neal Martin to become the most influential wine critic in the World, a role that he takes very seriously. Parker earned respect through the integrity and consistency of his tastings, traits that Martin is regarded as having in abundance by many of his peers and spectators alike.